I started writing for a small Colorado newspaper in 2006. 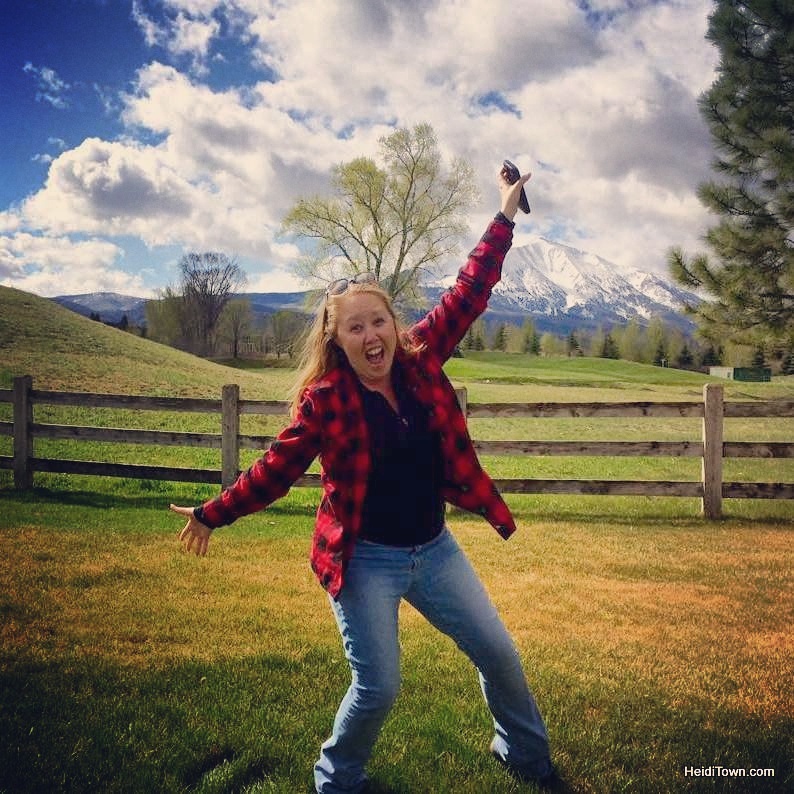 A year later, I started HeidiTown, as well as my magazine writing career. Therefore, I have written dozens of articles and posts about Santa Claus coming to town and Christmas parades. Photo courtesy of City of Littleton. I realize that it’s important to get the word out about these traditional holiday happenings, however, I’ve grown tired of writing about them. With that in mind, I asked my Facebook friends if they knew of any unique Colorado Christmas events happening over the next month and a half and I got a few fun responses that I shall share here. 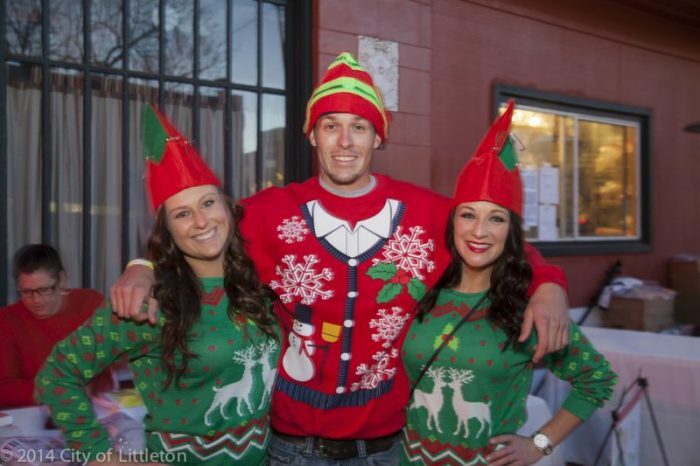 First up is Elf Crawl in downtown Littleton, Colorado. If you haven’t been to Littleton’s downtown, it’s adorable. I actually used to live in the area and we’d occasionally catch shows at Town Hall Arts Center. 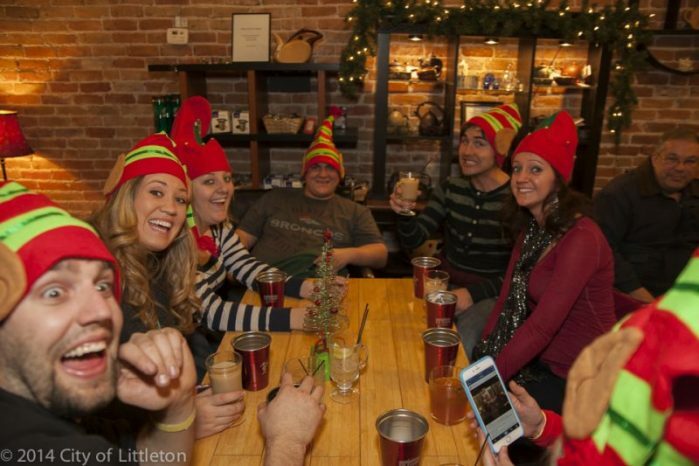 Elf Crawl takes place from 7 to 10 p.m. on Saturday, November 26. Hit downtown for Small Business Saturday and then stick around for a bar crawl to ten participating Littleton establishments (a benefit for Integrated Family Service). Event planners collaborated with a local hotel to offer affordable room rates on Saturday night (this includes free shuttle service should you become a drunky elk). Mad props to the folks who put together this festive holiday outing in Littleton. Learn more at LittletonRocks.com. 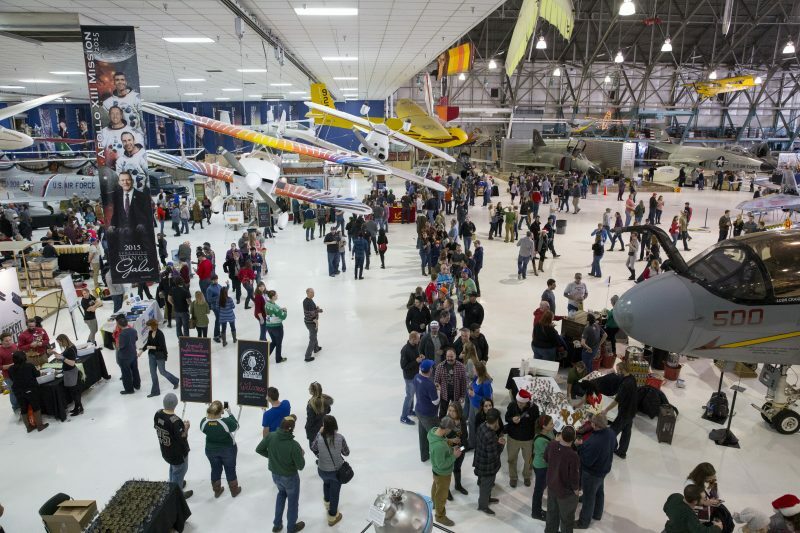 There aren’t a lot of beer events during December, but one that seems to have caught on over the last couple of years is the Annual Denver [Only] Beer Festivus that takes place the Wings Over the Rockies Air and Space Museum on December 17 from 4 to 7 p.m.
Ryan and I love this venue for beer festivals. There’s something extra special about drinking beer in the shadow of war planes. 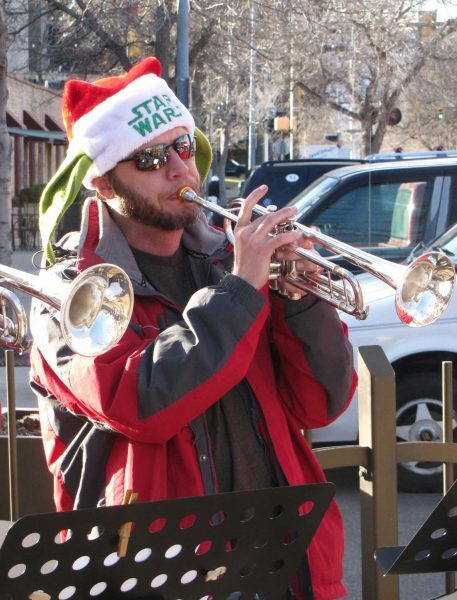 If you get the opportunity to see/hear Trumpets for Christmas this season, do it. I’ve seen this group play at several holiday functions and there’s nothing better than brass instruments pumping out Christmas tunes. Keep tabs on their Facebook page for when and where they’ll be this season. Several of my friends mentioned Denver Krampus Krawl, and while I can’t find any info on this season’s krawl, I did find NoDa Krampus Krawl, but it takes place in Charlotte, North Carolina. After browsing the website, I’m still not exactly sure what it’s all about, but it looks oddly amusing, and I really think someone should do something akin to this here in Colorado. 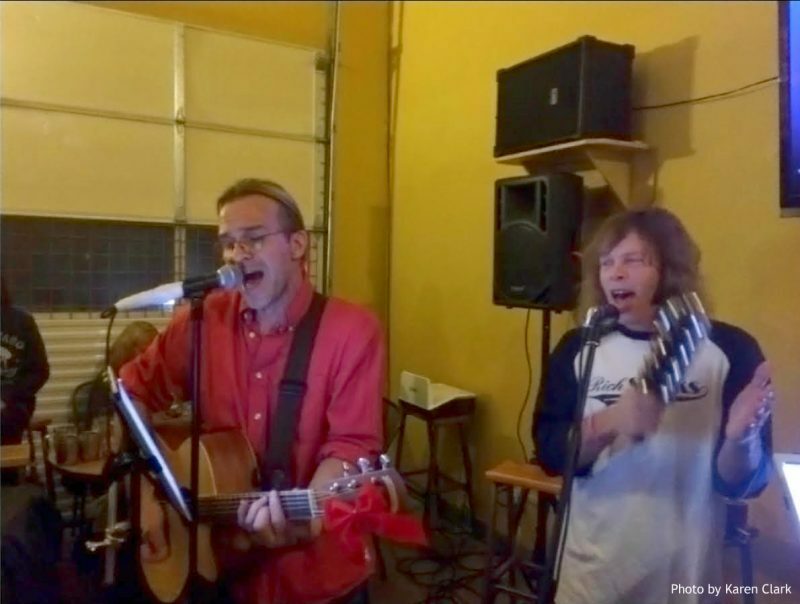 One fun and a little out of the ordinary event I attended last year was Colorado Rockin’ Around the Christmas Tree Sing Along at Big Beaver Brewing Co. in Loveland, Colorado. This year’s sing along takes place on December 23 at 7 p.m. Bring an instrument if you play. I think more breweries should host such an event. All a brewery needs to do is secure a local musician or two to lead the songs and ta-da, you’ve got a merry event that the entire family can attend. Most events that happen during the holidays are traditional, but if you look, there are a few out-of-the-box holiday happenings around Colorado – you just have to look beyond the normal holiday event blog post. A Note from the Mayor: Please don’t drink and drive this holiday season. Call a taxi, call Uber, call a friend. Thank you!